In keeping with the competition, when most of the retailers are racing a tad too much to buy a spacious retail location, investing high volumes on store designs, training the staff and shouldering high maintenance cost to present lucrative stores for shoppers, there is a silent trend that has remained un-noticed in the rush for big format stores. Have you ever noticed that you and your neighbourhood mom and pop stores still exist even though Food Bazaar, Big Bazaar, Reliance are catching the limelight. Formats like Walmart are making its presence in an aggressive way to give competition to the existing vegetable and grocery set-ups. If I’m not wrong, an average Indian family needs 2-3 hours a week for grocery shopping. 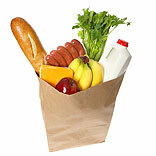 Have you ever noticed that you and your neighbours have started getting home deliveries for some basic grocery requirements—milk, eggs, bread, vegetables, fruits etc from the store department of the society? When most of the big retailers are fighting for larger space, opportunities can be foreseen where you do not have compact space and can still run successfully through Etailing the Grocery model. The solution could be a mix of website, mobile, IVR so that partners do not have to be TECH savvy and better they don’t need to have a computer so my 60 year old meethaiwala who knows how to use the mobile and thinks computers are "Ravans of Kalyug" can also increase his customer base and thus improve his quality of life. You need to increase your customer base: Online services and then home deliveries would fetch revenues only when you have large customer base. Margins are the rewards which an investor gets and this is what he has to work on to have with minimum liable cost. Develop your own site and make a strong viable back-end system for smooth functioning of the business model: Now to make a consolidated website would require minimum of Rs 5 lakhs and above—which has all the applications and security options to run a retail business. Instead, you can opt for cloud services like SaaS to build up your own site in just $14 to $ 50 rental charges. Cloud services would play a vital role to make updated connections with your suppliers, logistics suppliers, CRM updates and drop shipping suppliers. Because time is a critical factor, efficient distribution is of utmost importance. Technology plays a key role in enabling an efficient dairy distribution model. Delivery system: Tempos and other mini trucks can be used to provide deliveries in the located areas if orders come in bulk in particular area.